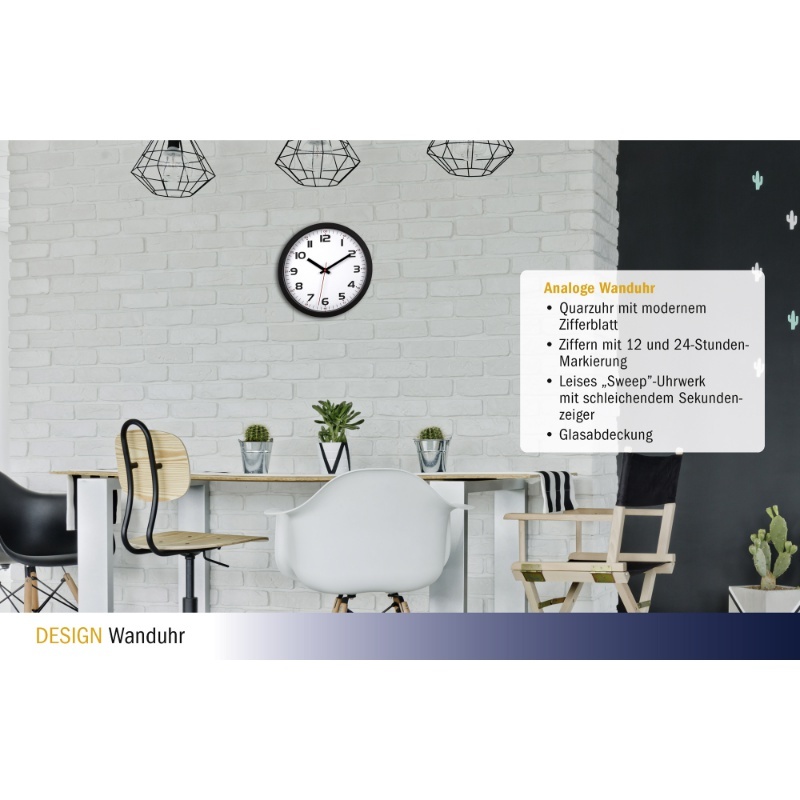 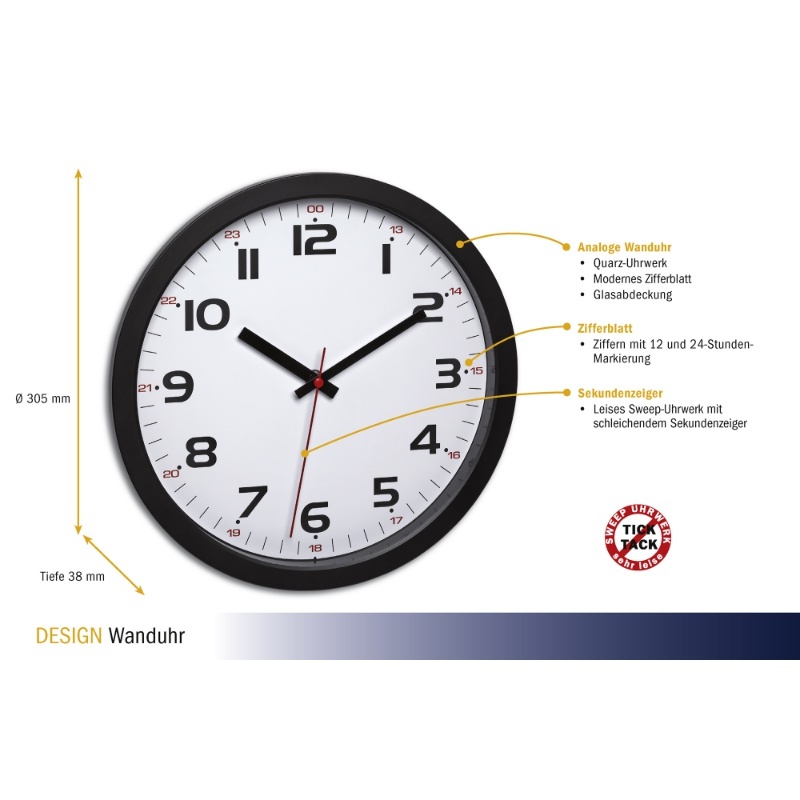 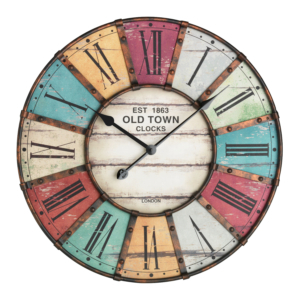 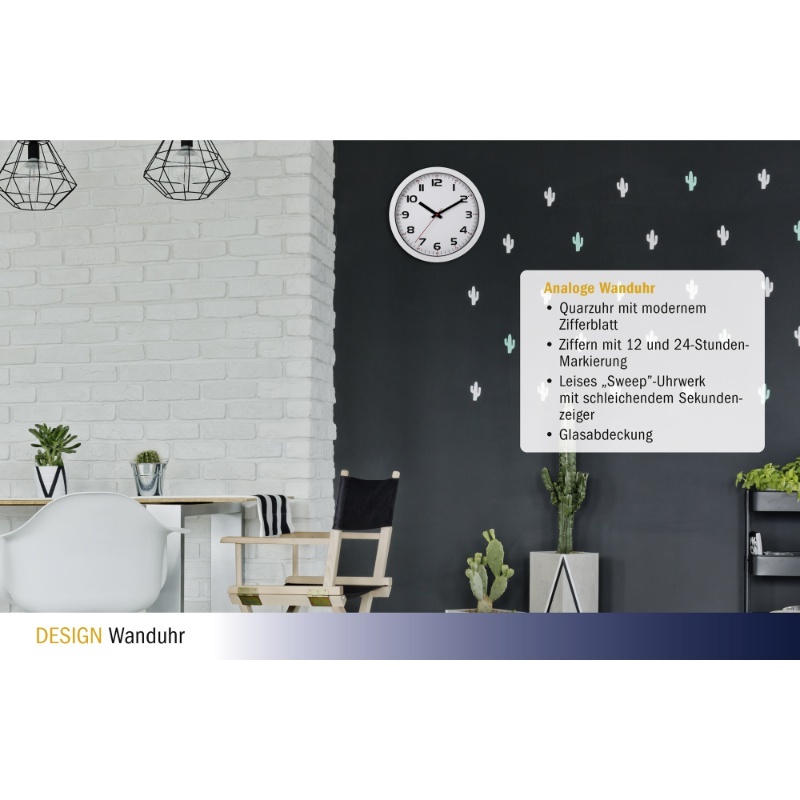 This wall clock special feature are the 12- and 24-hour markings. 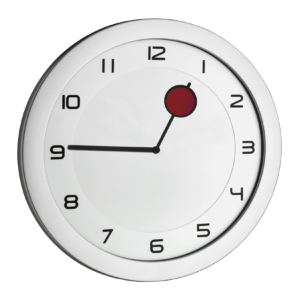 The large numbers in black indicate the first 12 hours of the day whilst the smaller numbers in red refer to the hours after 12 noon. 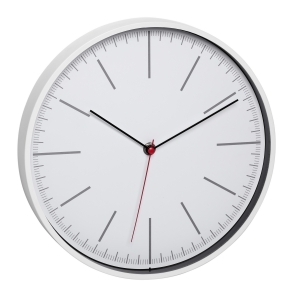 This means that you always have the right time in view for every hour of the day. 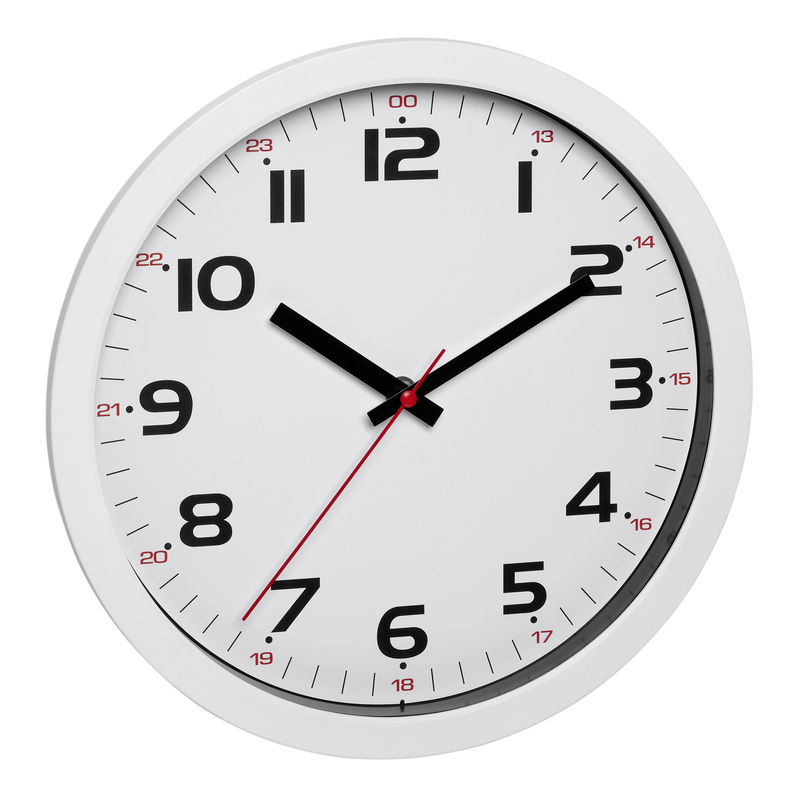 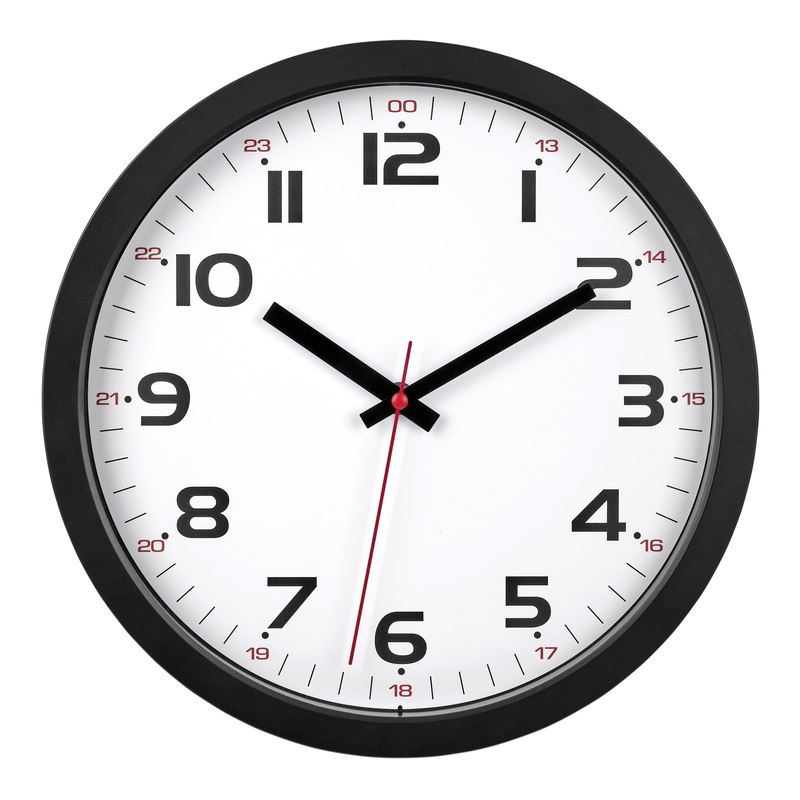 This analogue wall clock in black and white with red 24-hour numbers is a real eye-catcher despite its simple design. 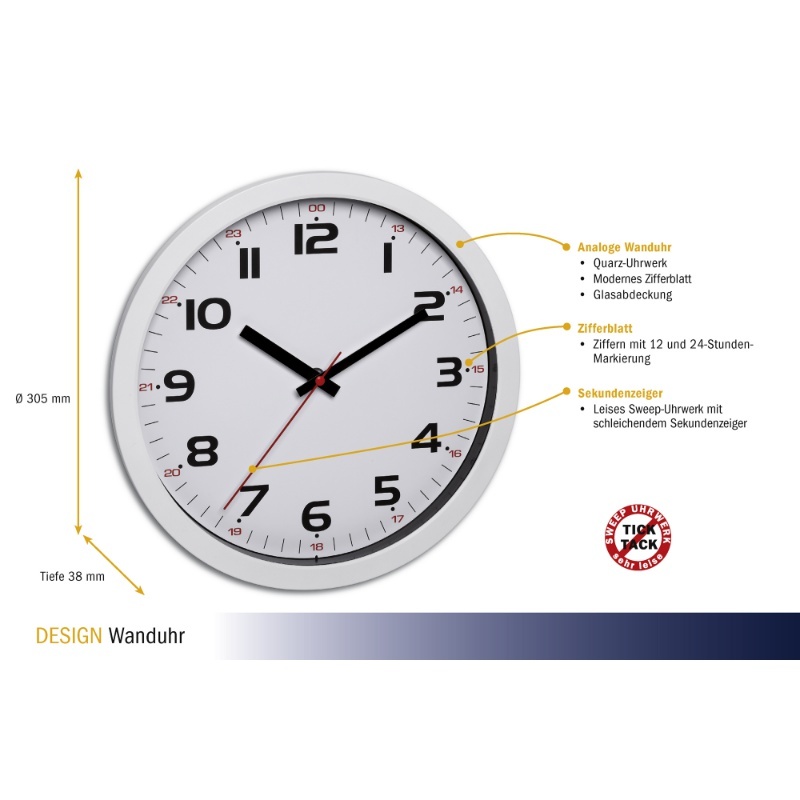 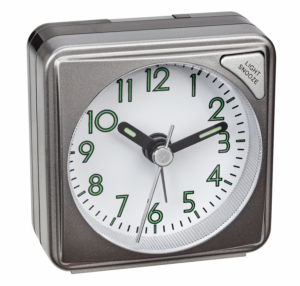 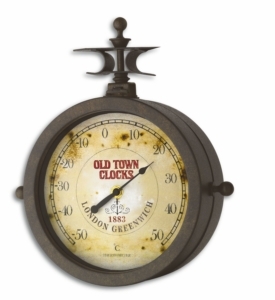 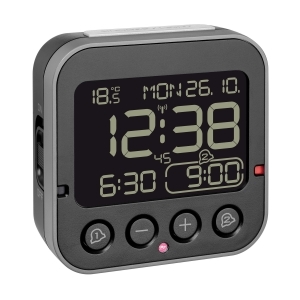 Thanks to the sweeping second hand movement, this quartz clock is also suitable for rooms where quiet is required, such as the bedroom or the office.